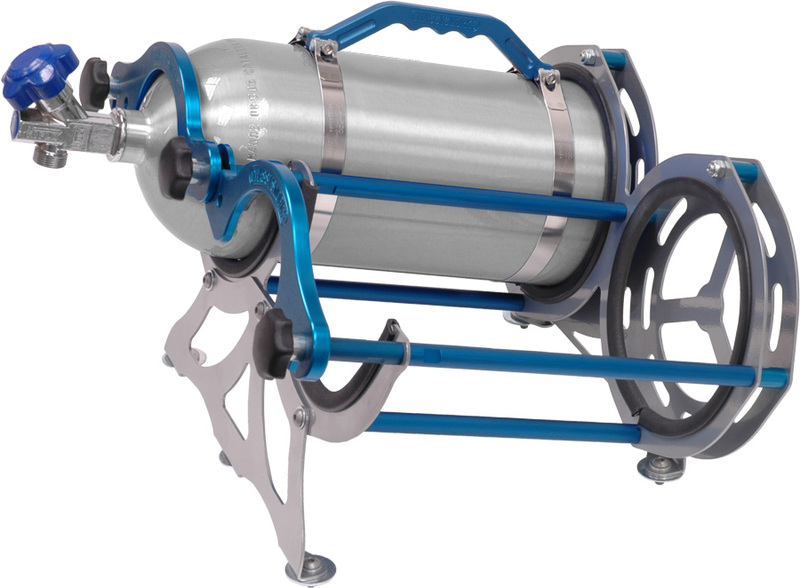 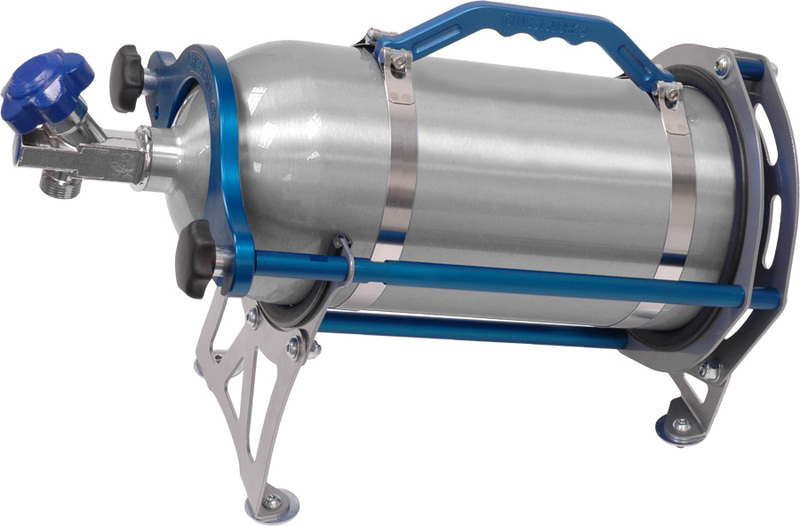 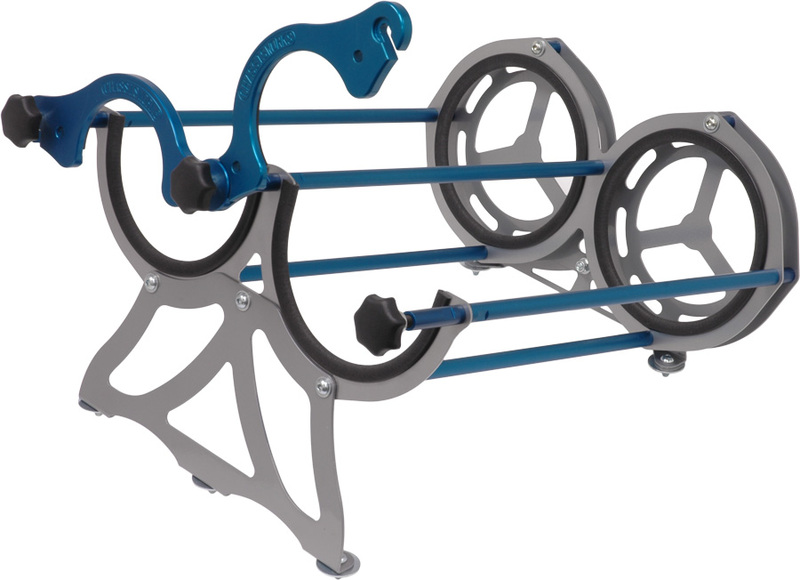 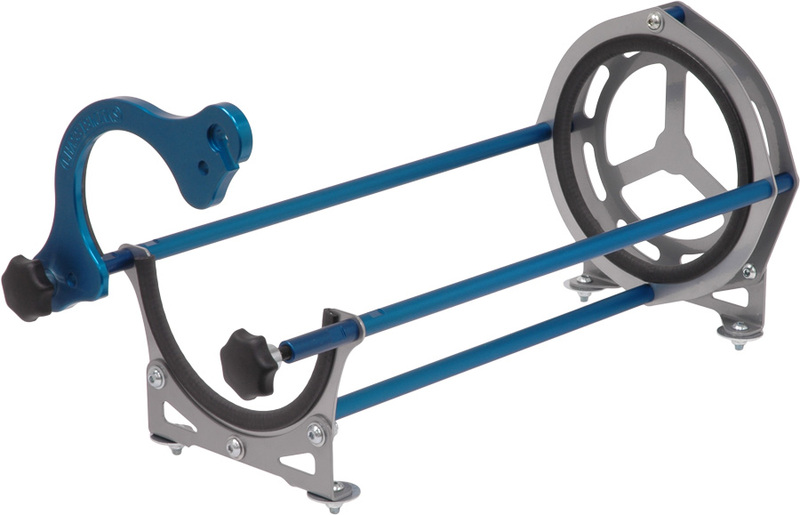 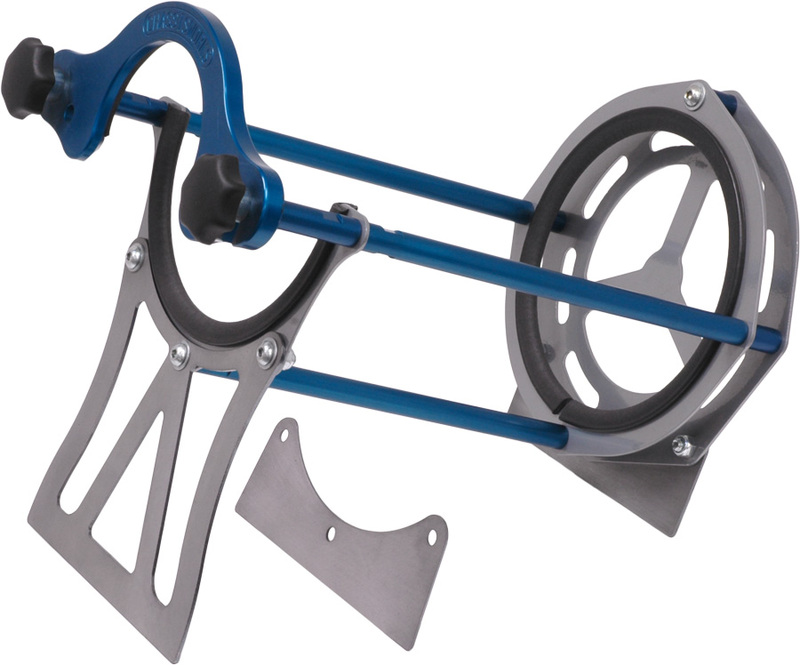 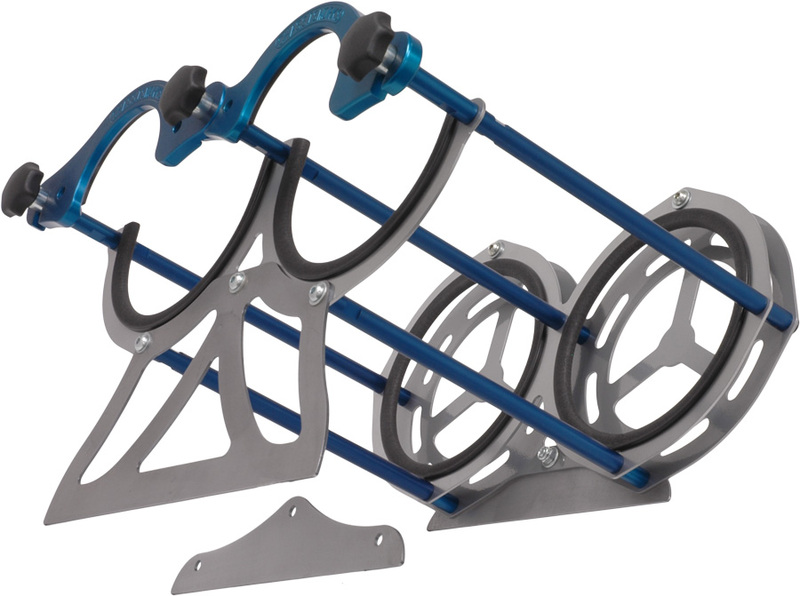 We offer a variety of mounting racks to secure single or dual nitrous bottles. 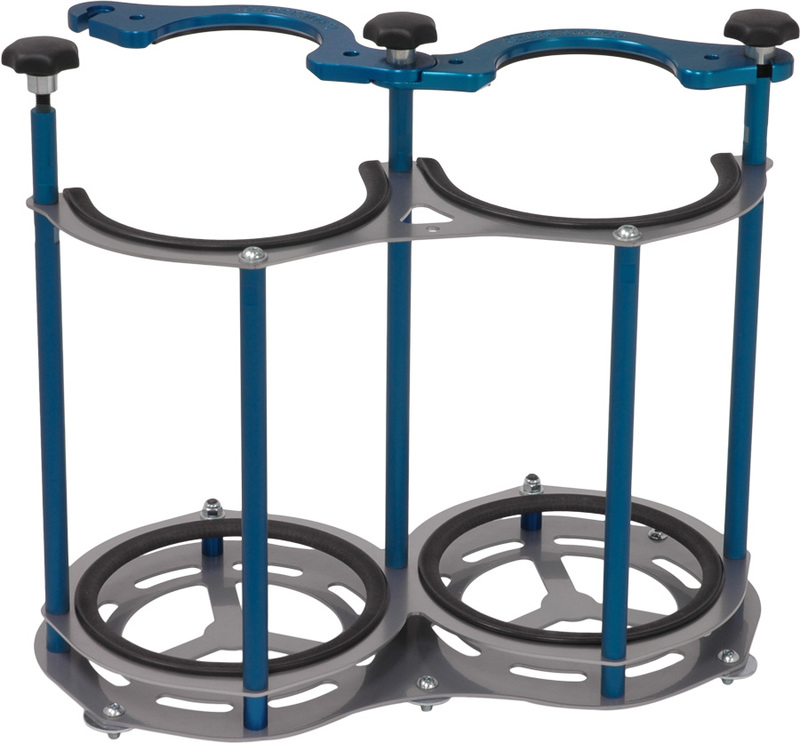 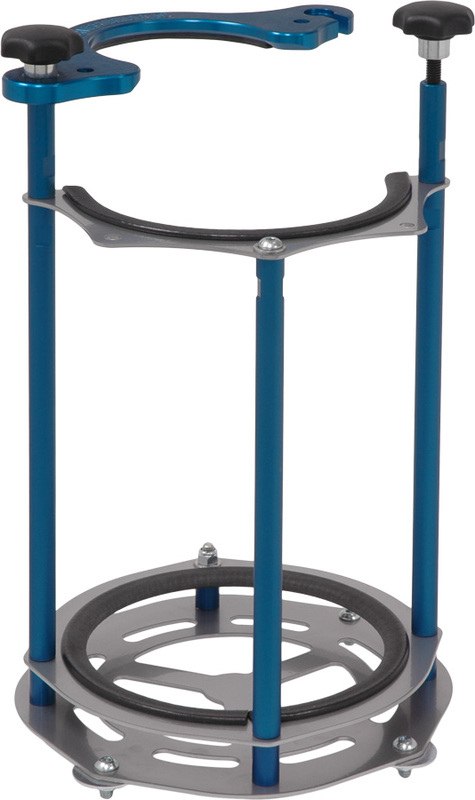 The stand-up rack positions the bottle(s) vertical to the floor. 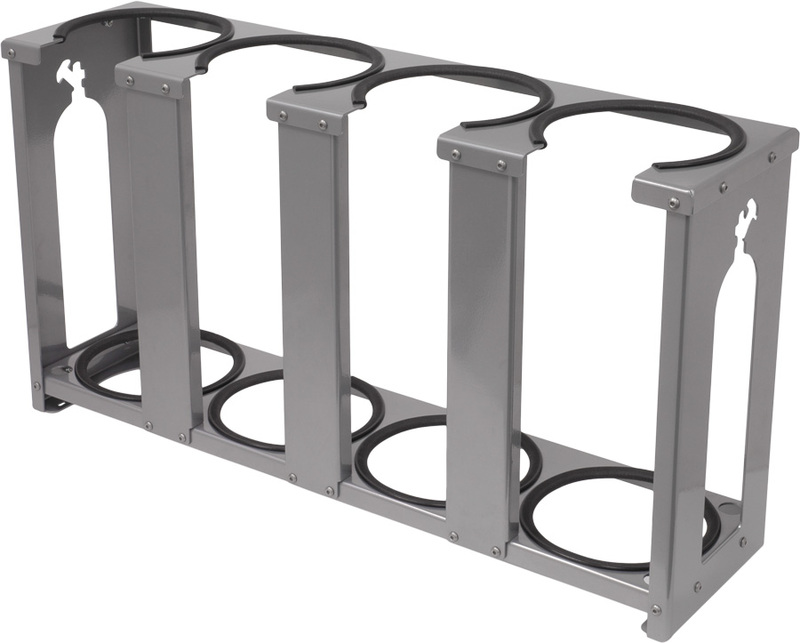 Our lay-down rack mounts the bottle(s) horizontally. 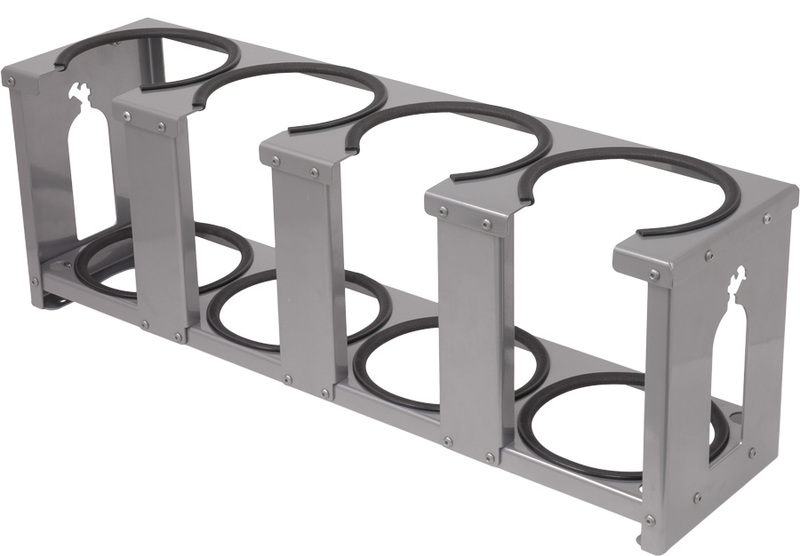 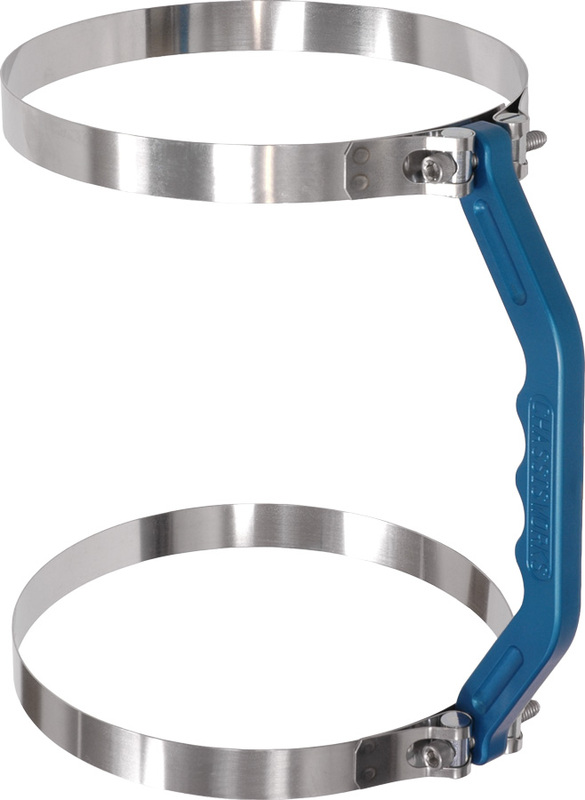 The lay-down rack positions the bottle(s) at a 15-degree angle. 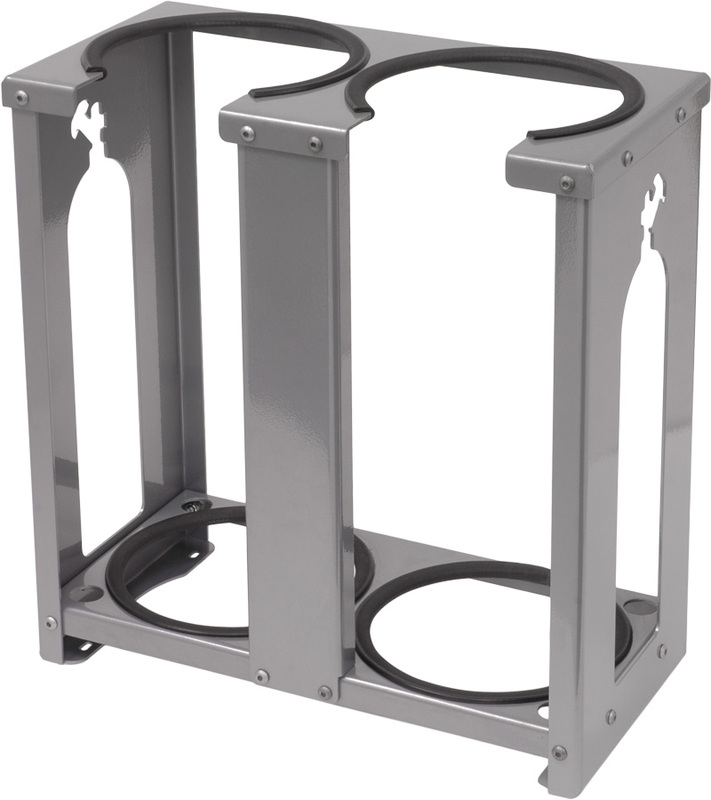 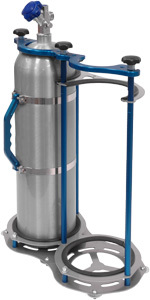 All racks are designed for 10- or 15-lb., industry-standard, 6.90-diameter bottles. 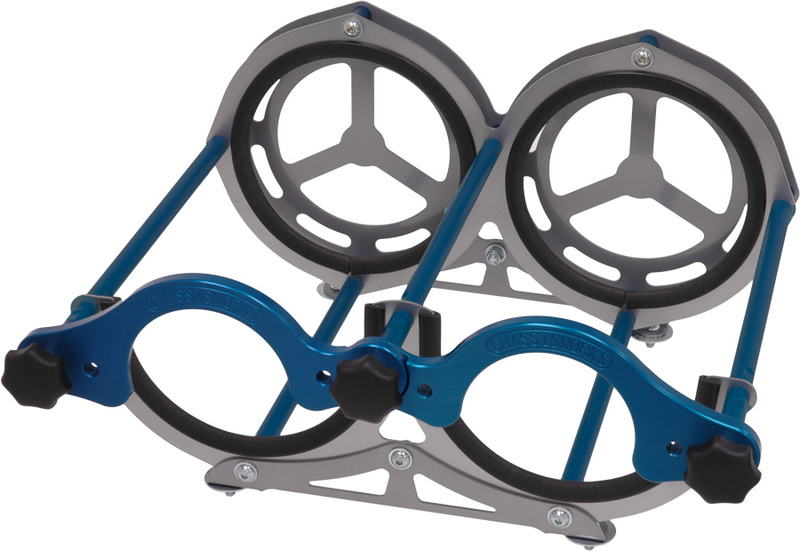 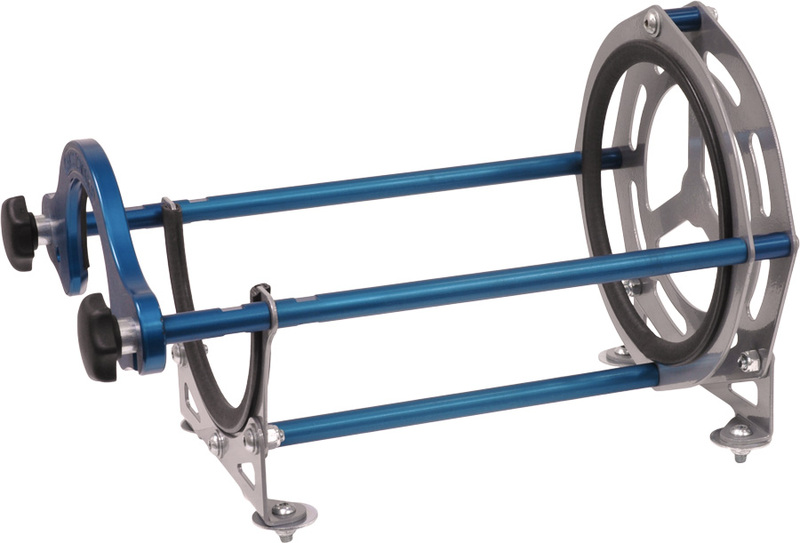 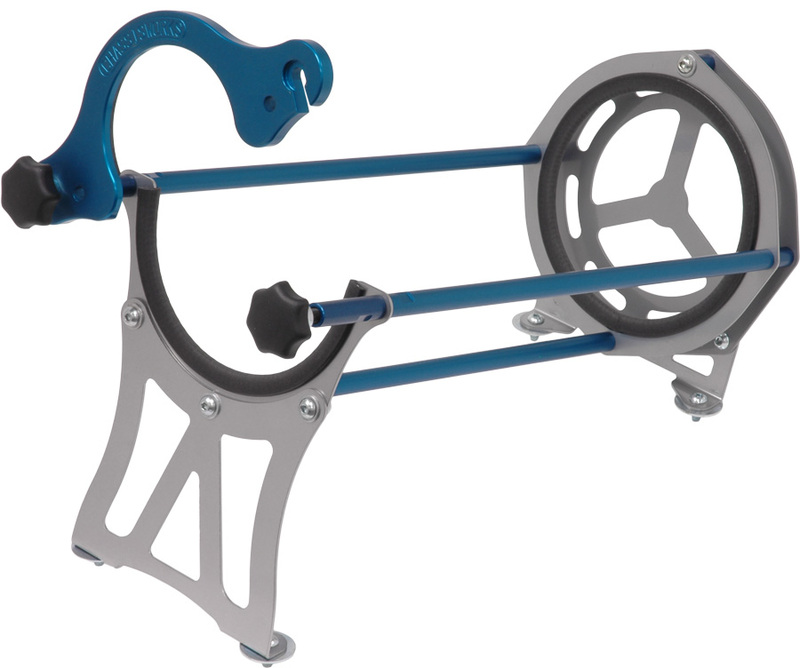 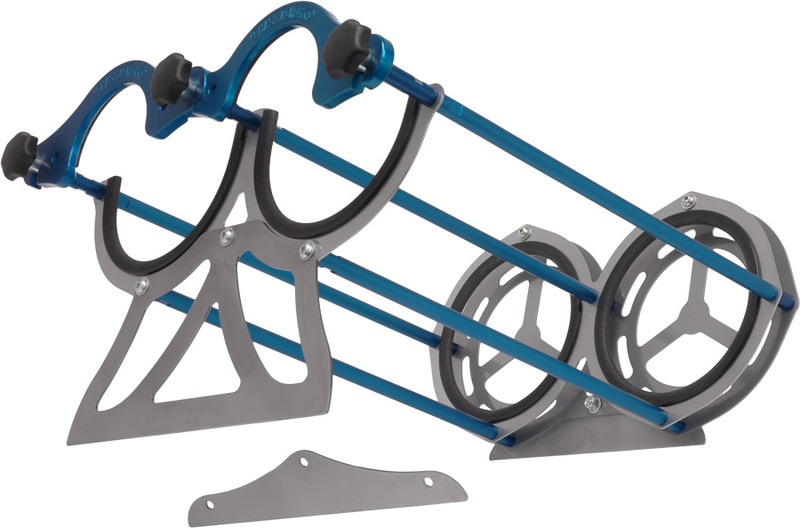 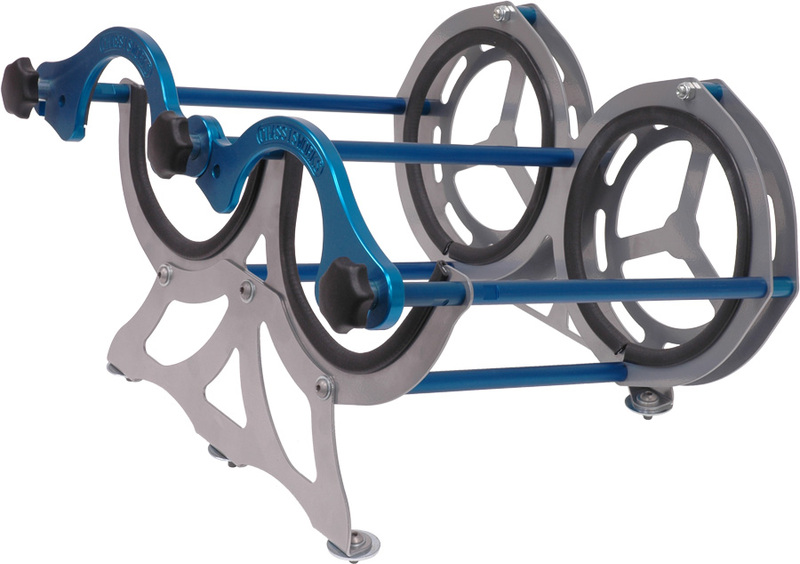 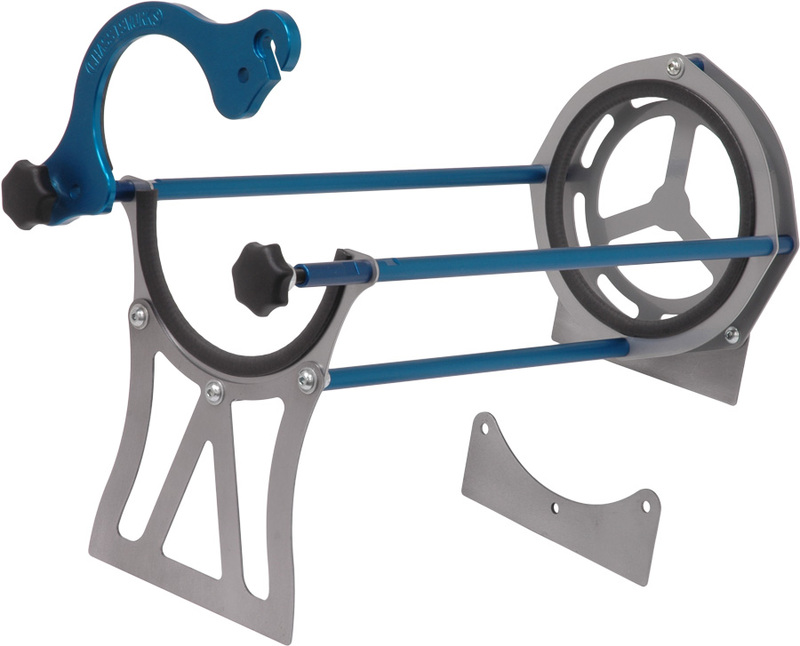 Built from a combination of aluminum and steel to reduce weight and increase strength, each rack features a rubber guard on all edges that contact the bottle, preventing scratching. 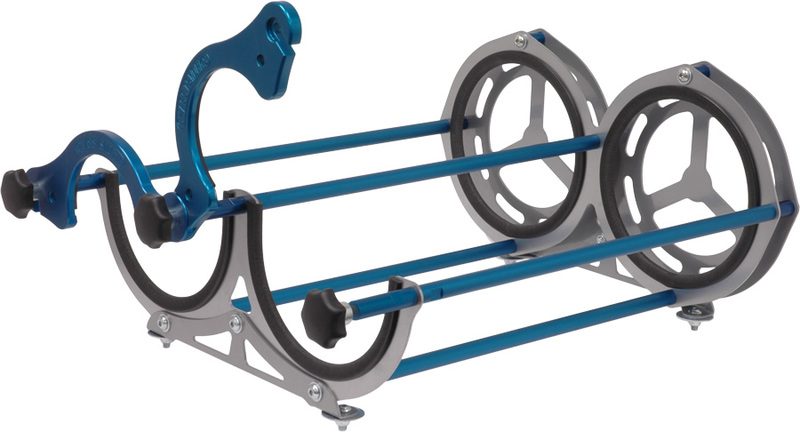 Optionally available is an aluminum handle that attaches directly to the bottle, easing insertion of a bottle into the rack. 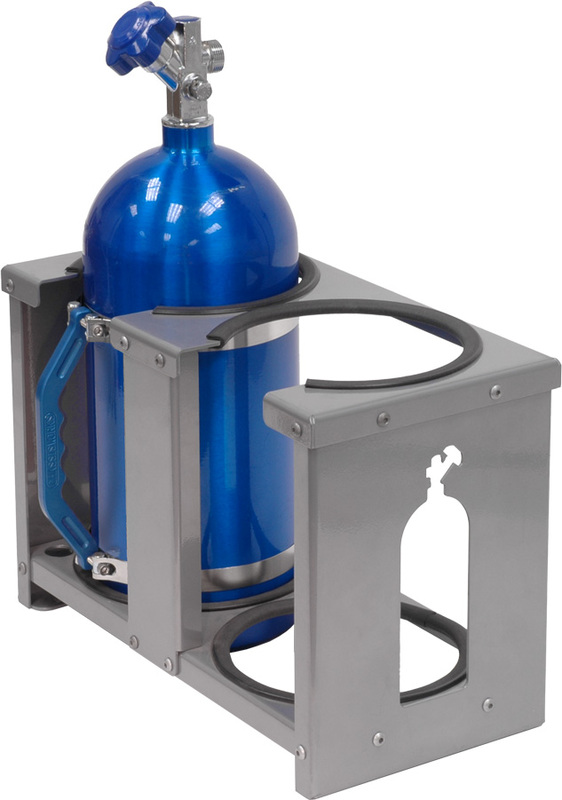 Note: Nitrous bottles not included.